A monster 10 oz double Cheeseburger with lettuce, plum tomatoes, pickles, red onions and Schnipper’s sauce. I should say “the,” not “a,” because of all the times I’ve eaten this particular Burger, this was the best one. Everything about it was perfect, most notably the sear on the patty, which was still pink in the middle. That’s not easy to do on a patty of this thickness. The cheese, oh the cheese! 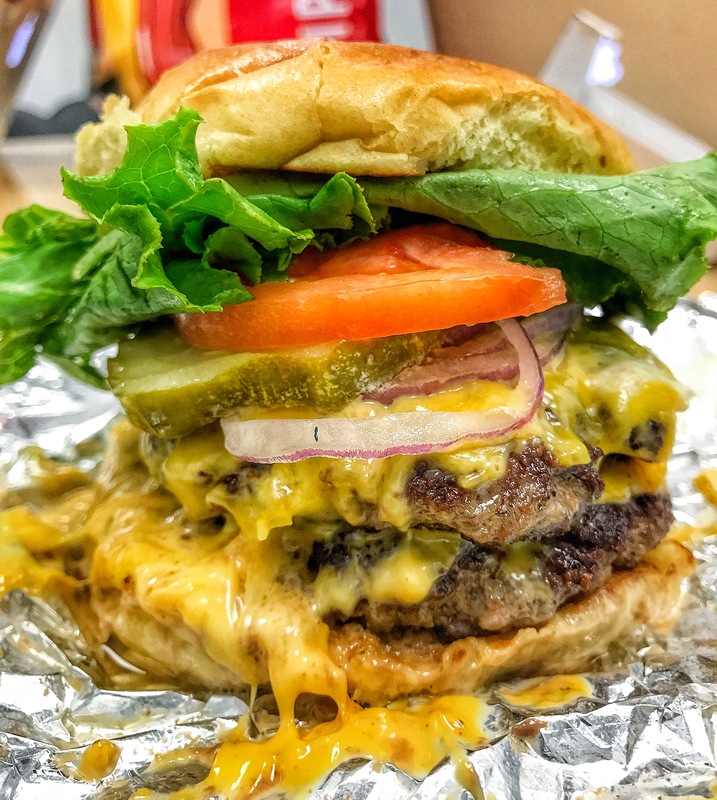 Because this Burger spent just enough time wrapped in tin foil (time = to the distance to walk the Burger around the corner and take an elevator 5 floors) the cheese had melted into a cascading blanket down the side. But not just that, the bun was perfectly toasted. There was just enough sauce to add some viscosity without over powering the flavor of the meat. The lettuce never got in the way. The taste of the onion kept itself subtly in the background. And this may sound funny to you, but it doesn’t to me, the Burger required almost no photo prep. It was practically Instagram ready as is! I’ve eaten this Burger (and many others from the Schnipper’s) before but this one left a mark. I can’t stop thinking about it. This entry was posted in Best Of, Burgers, New York and tagged nyc, rev ciancio, schnippers, the big schnipp. Bookmark the permalink.